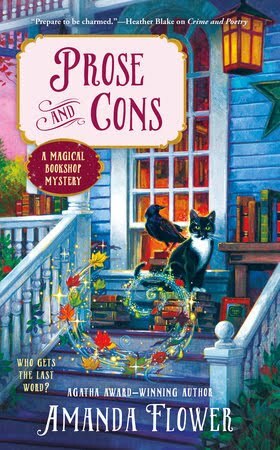 Mystery Lovers' Kitchen: Welcome, Amanda Flower! 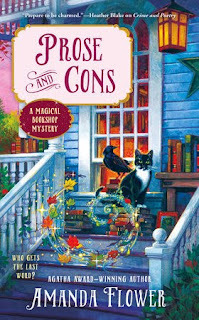 Please join me in welcoming Amanda Flower, author of the Magical Bookshop Mysteries. Her latest book, Prose and Cons, debuts on December 6th. Don't miss her generous food pantry project at the end of this post. Psst, and she's giving away a book, too! In Prose and Cons, Grandma Daisy and Violet Waverly want to provide refreshments for the Poe-try Reading, an event they are hosting to celebrate the works of Edgar Allan Poe. The event will be held at their magical bookshop, Charming Books, during the Cascade Springs Food and Wine Festival, the most anticipated event in the village each autumn. Grandma Daisy enlists the help of La Crepe Jolie, the French café down the street from the bookshop, and among the many treats that café makes for the event are lemon madeleines, Grandma Daisy’s favorite cookies. 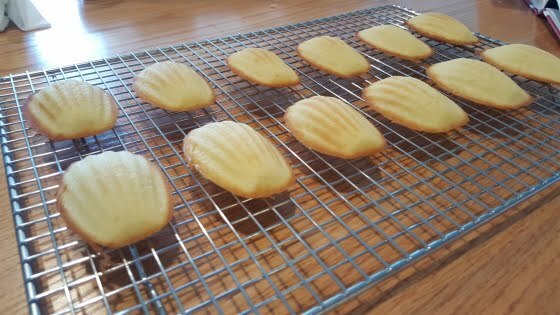 She says nothing is better with a cup of tea than a lemon madeleine. Enjoy the recipe! 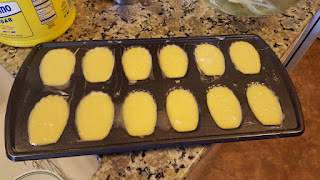 1) Preheat oven to 375 degrees F and butter and flour madeleine molds. 2) In a large bowl, mix sugar, eggs, and butter. 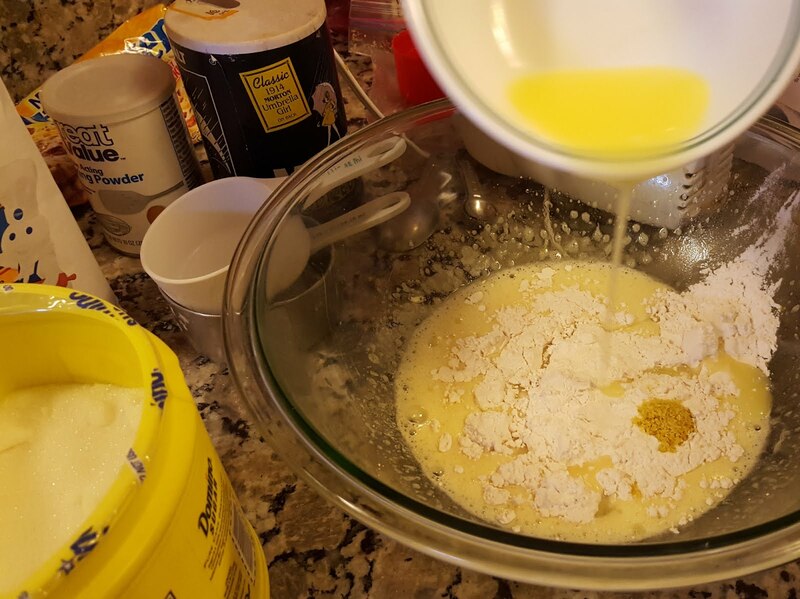 After these three ingredients are well blended add flour, baking powder, lemon, vanilla. 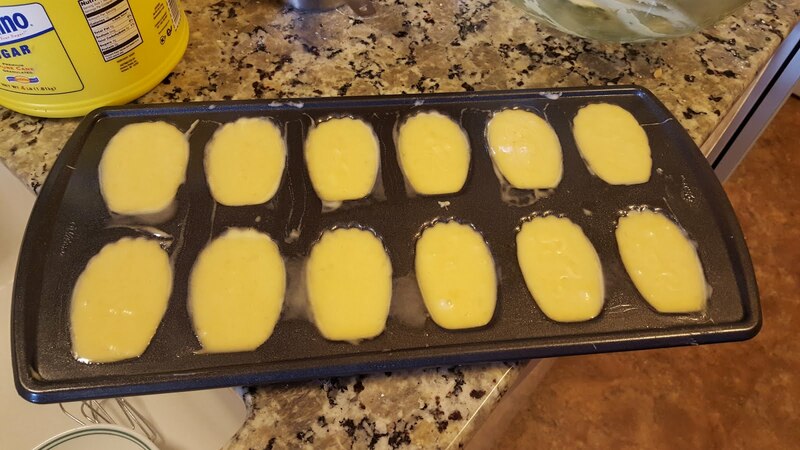 3) Spoon batter into molds 3/4 full. Bake 10 minutes at 375 degrees F.
4) Remove from molds and cool on a rack. 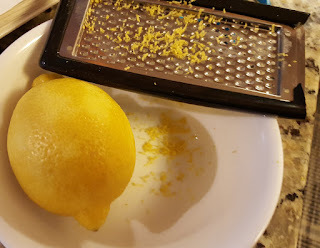 5) While still warm, dust with powder sugar if desired. Buy a mystery and help feed a community! Purchase any edition of Prose and Cons book, between now and Tuesday, December 20, 2016, and Amanda will donate $1 for every book sold to a food pantry, The Landing, located in Akron, Ohio. The Learned Owl is also making a $1 donation to the Landing for every copy the bookstore sells and is selling PERSONALIZED AND SIGNED copies on the novel. They can ship anywhere. Amanda is giving away a copy of CRIME AND POETRY. Leave a comment with your email address to enter! I love this series and have been looking forward to reading this book. Thanks for the recipe and what an awesome way to give back Amanda. This sounds like a lovely recipe! I'm one of the lucky few who actually has a pair of madeleine pans, so I'm set. And what a thoughtful and appropriate giveaway. The recipe sounds delish & you're a doll to donate to the food pantry- Huzzah! I own the first book in the series and getting a cookie recipe along with a giveaway is fantastic (posted to Pinterest under contests and desserts). I'd love to be the lucky winner of this book. Book and recipe both sound terrific!